Mix Creative is proud to announce the launch of our newest website design for the Minneapolis law firm, Halleland Habicht PA.
2010 WIN AWARDS RECIPIENTS, INCLUDING KATRINA HASE OF MIX CREATIVE, share the impact of being nominated and receiving a WIN award (January 2011). Announcing Our Newest Site Design & Build! 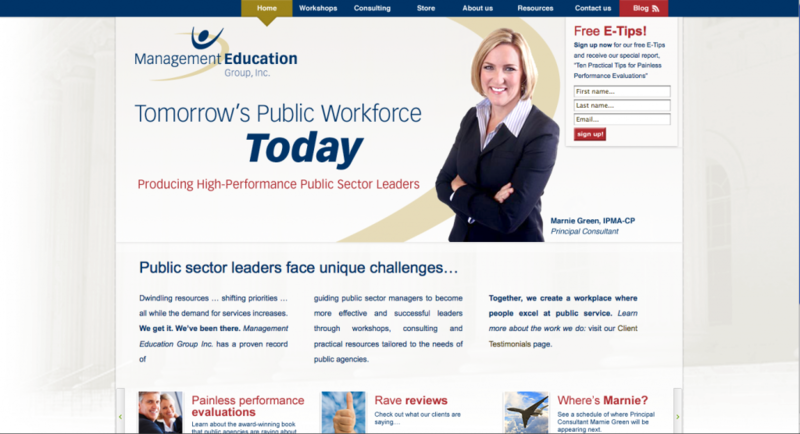 We at Mix Creative are pleased as punch to announce the launch of the new Management Education Group, Inc website! 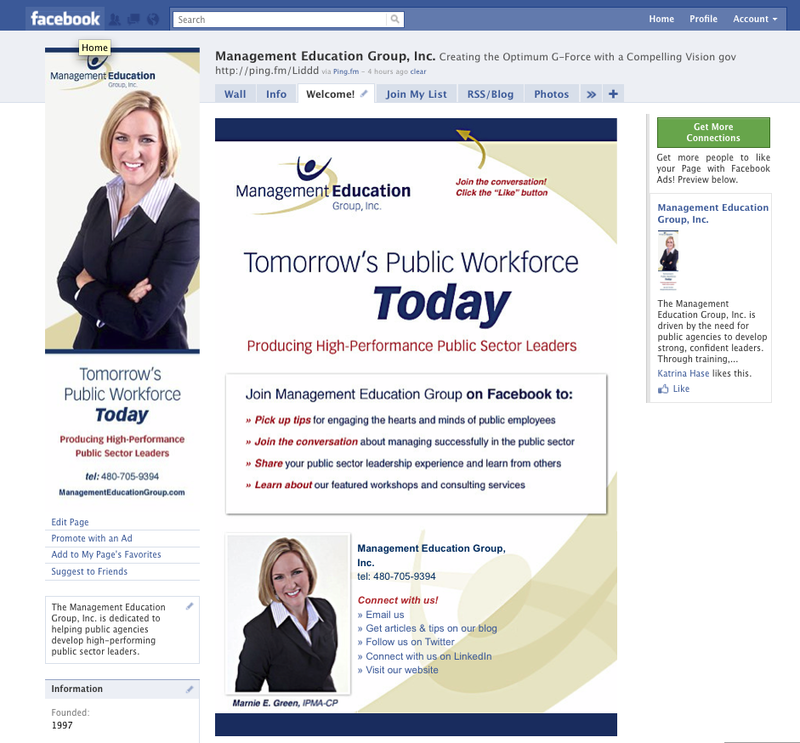 Our client, Marnie Green—owner and principal consultant for Management Education Group, Inc—contacted us last year to assist the company with a brand refresh and site design to help focus her emphasis on her target audiences and provide a look and feel that meshed with the high level of professionalism offered to their clients. For the new website design, we wanted to carry through the feeling of forward momentum suggested in the logo with type and layout that feels open and modern. The site design includes a nod to the public sector—the company’s primary audience—with an image of marble columns in the background. Built by Mix Creative entirely in WordPress, the site is readily update-able, both with content and images, and features a back-end dashboard with site statistics built in. The site also includes a rotating feature carousel on the homepage, an e-newsletter sign-up form on each page, a shopping cart for purchasing books and webinars, and a calendar to view where Marnie will be speaking and working in the coming year. The site is optimized for SEO using a 10-point checklist Mix Creative developed. Mix Creative also had the opportunity to design and program a custom Facebook welcome tab and page badge for Management Education Group, Inc. As social media becomes more important in the overall marketing strategy for this company, they can be assured that their brand image is being carried through to their Facebook audiences as well. Marnie Green truly walks the walk when it comes to excellent management; she kept our team up-to-date at every step and perfectly synchronized our team at Mix Creative with her own team members. Mix Creative team members included Katrina Hase (Creative Direction), Steven Ray (website programming), and Diane Autey (copywriting). Thank you to all involved! More user-friendly. Clear page titles, an easy-to-navigate portfolio with examples (lots of ‘em!) by category, an archive of e-newsletters, and an integrated blog are just some of the new, user-friendly features in the Mix 2.0 site. More SEO friendly. By integrating a blog onto our site url instead of hosting it at WordPress.com, we’re benefiting from a lot more direct traffic from search engines. Plus, we’ve got a lot more indexed content for Google to crawl through, thanks to an e-newsletter archive, blog posts, and an increased number of pages in the new site. As an added benefit to our SEO, we’ve installed the WordPress SEO pack, Google tracking codes, made rich page titles, descriptions and keywords, and boosted our ranking through the same process we conduct for our clients. Integrated social media. The new site practices what we preach to our clients, making it easy for users to sign up for our e-newsletter, follow us on Facebook and Twitter, or subscribe to our blog. Updated coding. The new site is built in a WordPress environment, making updates a snap and providing access to great plug-ins like site statistics, subscriptions, and more. A more professional presence. 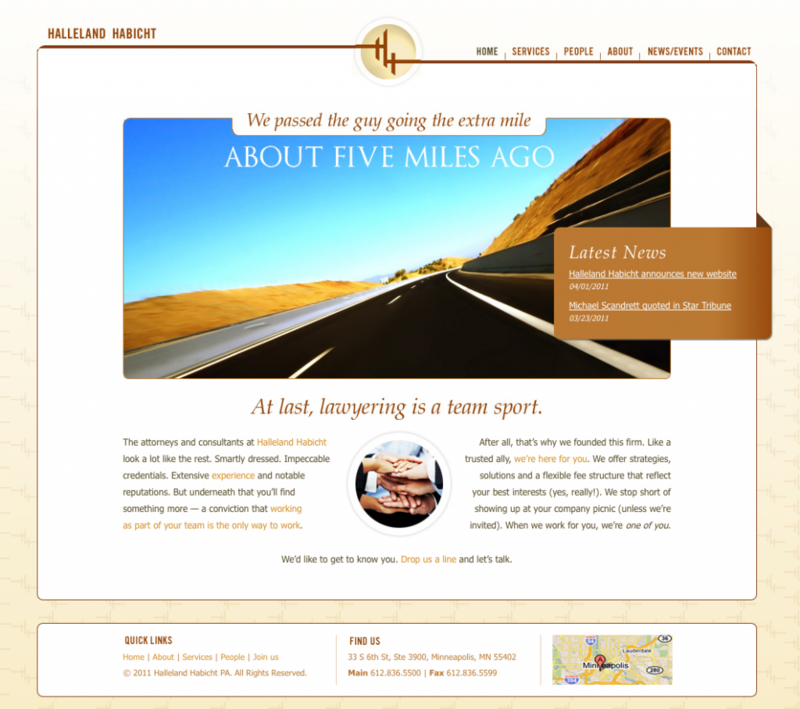 The new design looks less homespun than our original site and better reflects the type of work we do for our clients. We paid good money for this site. Yep, you heard me right. Although we designed the site, we invested our own cash into having it programmed by our own exceptional developer to make all the 1s and 0s fall in line. And here’s the deal: we’re already seeing a return on our investment with better conversion rates, more hits, and better brand awareness. Spending good money on your business, especially in a sluggish economy, can be a tough choice to make. But with the right team and the right branding, your money can go a long way toward presenting a professional image that speaks of confidence and edges out competitors. So…what will be the best marketing decision of your company in 2011? We’re pleased to announce that Mix Creative’s Katrina Hase is scheduled to be a Breakout Session Presenter at the 2011 Destined to Win conference on January 27, 2011 at the University of Minnesota Continuing Education and Conference Center. The topic of the presentation will be: Recipe for a Successful Marketing Strategy. Destined to WIN is the annual conference of the local Women in Networking group. This welcoming and non-competitive group attracts women entrepreneurs, business owners, and key players in business. Katrina’s presentation was selected from those submitted to a Request for Proposals process. For highlights from last year’s Destined to WIN conference, take a peek at the video below, produced by Pixelle8 Media. Our monthly e-newsletter, >the mixer, went out today. 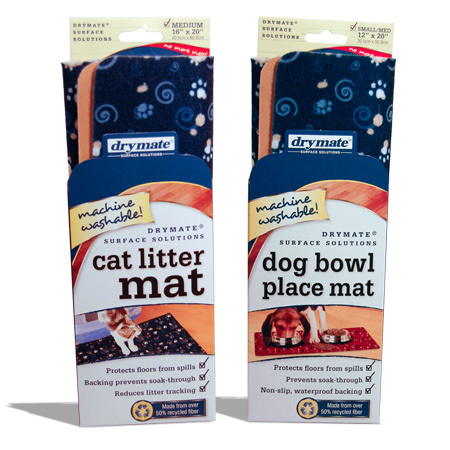 In the newsletter, we featured products we designed for Drymate. I erroneously stated that they are from Shakopee, MN. In fact, they are located in Savage, Minnesota. I apologize for the error. Here’s a larger image of their product design. Look for more to come! If you’d like to sign up for our e-newsletter, click here. Each month we feature an article related to design or marketing your business, and feature recent work and news from Mix Creative. 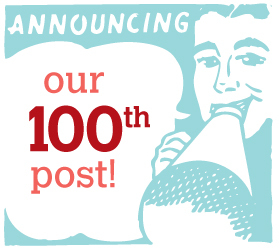 With this, our 100th blog post, it feels appropriate to reflect on the effect blogging has had on our business here at Mix Creative. Getting Published. Readers of my blog have requested to reprint posts to their own blogs or in their e-newsletters, widening our company’s exposure. Mix blog articles have been adapted for the Women in Networking Connect e-newsletter, and others appear on the blog site of Overnight Prints. Speaking Engagments. Something I never expected from blogging—sharing my knowledge through my blog has directly contributed to me being asked to be a guest speaker at several events, including: a Women In Networking SparkHer event and annual conference, Tech Networking event and webinar from Modern Inconveniences, and to the Freelance Design Business class at the Minneapolis Community and Technical College. Material for the Mix E-Newsletter, >the mixer. Often, a blog post will inspire content for our company’s e-newsletter. Although I generally adapt the article for the shorter e-newsletter format, having a source of content has been a huge time-saver! A place to easily post e-newsletter archives. Simply creating a page for an e-newsletter archive on my blog, then adding a link to the online archive has made this monthly function quick and effortless. Not only that, but it’s accessible to blog readers, who may not be e-newsletter subscribers. Fun and personal growth. Ok, this one is definitely something I didn’t expect: writing and posting articles on my blog is just plain fun! It gives me an opportunity to take a break from design, it puts a voice to my opinions, and it gives me a sense of accomplishment. And then there’s the blog stats…addicting! It’s fun to see which posts get a lot of reads, and tracking the increase in blog hits over time. And here’s a fun thing: last week I received a call from San Diego, California asking for more information about something I’d written in the post, Beyond the Trifold: How to Make Your Brochure Stand Out in the Crowd, (our most popular post). Looking forward, my goals for my blog are to: 1) increase the number of hits by increasing the amount of entries and providing consistently relevant content, 2) Encourage readers to comment more, and 3) Promote the blog more at networking events, online, and through social media. Thank you to all of our readers, whether you’re a one-time visitor or check back frequently! Want to stay up on recent posts? Click the “subscribe” button in the upper right. You’ll get a short e-mail synopsis of current entries. Any thoughts about blogging or suggestions for our blog? Please leave a comment below! Remember, blog comments are searchable by web browsers, and can increase your personal SEO ranking. We were SO thrilled to win the 2010 Destined to Win Award! The entire day at the Destined to WIN in 2010 conference was a blur of greeting familiar faces, meeting inspired business owners, and learning from experts in the three breakout sessions. But I have to say, the highlight for me was being one of three WIN members (also including Kris Jamieson and Maureen Heinen) honored with an inaugural WIN award—what an amazing honor, in a room full of such accomplished women. Thank you!